Cyber security has always been an important issue since the internet began to enter people's lives, and it is even more so now, as the world becomes increasingly connected to form a global cyberspace. In cyberspace, internet users leave their digital footprints that contain personal information. If this falls into the wrong hands through a security leak, such information can compromise the users' financial and even personal safety. A cyber security breach at national level may lead to catastrophic consequences. Chinese President Xi Jinping has given high priority to cyber security. Calling it a "prerequisite for internet development," Xi has called for coordinated development of cyberspace security and informatization. Xi, also the head of the Central Internet Security and Informatization Leading Group, outlined this requirement at the Symposium on Cyberspace Security and Informatization held in Beijing on April 19, 2016. At the symposium attended by representatives from various sectors, the Chinese president called for enhanced development of the internet and harnessing it for the benefit of the nation. He also stressed a "correct outlook on cyber security," urging the development of a system to "protect key information infrastructure and ensure online security." Dr. Zuo Xiaodong, vice president and senior engineer of the China Information Security Research Institute, applauded President Xi's remarks on cyber security and informatization. "President Xi's new theories, ideas and conclusions on cyber security and informatization form an independent concept on governance of cyberspace with China's characteristics," he said. "They are part of his ideas about the governance of China, answering a series of major theoretical questions concerning the long-term development of China's informatization and providing comprehensive and clear strategic guidance." Rapid global informatization is shaping a "future world totally controlled by the internet," henceforth creating a new rule that "who controls cyberspace controls all," said Dr. Zuo, explaining the security issues in politics, economy, culture, and military that are intertwined with cyber security. Thanks to President Xi's guidance, Dr. Zuo stressed, positive changes had taken place in this regard. Last November, China's national legislature adopted the Law on Cyber Security. One month later, the Cyberspace Administration of China, the country's top internet regulator, released a cyberspace security strategy, advocating peace, security, openness, cooperation and order. This March, the Ministry of Foreign Affairs and the Cyberspace Administration of China jointly released the International Strategy of Cooperation on Cyberspace, China's first such cooperative plan. "Particularly, in the Law on Cyber Security, 'ensuring the safe operation of the infrastructure that contains critical information' is highlighted. 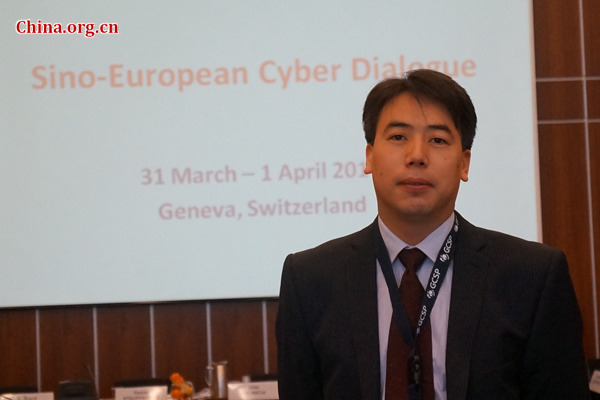 It indicates that the country put an emphasis on the protection of hardware, too," Dr. Zuo stressed. Cyber security has always been an important issue since the internet began to enter people's lives, and it is even more so now.